Buffalo were once disappearing in record numbers, but the kind efforts of one Texas woman helped them return from the verge of extinction. 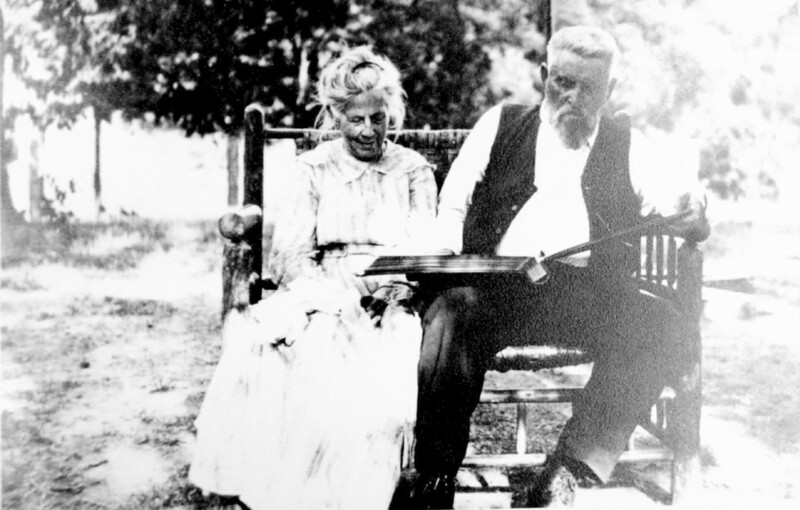 In the 1870s, Charles and Mary Ann Goodnight resided in a Victorian-style home on their ranch in the Texas Panhandle. The couple lived a good life. They entertained heads of state, hungry cattlemen and Comanche leader Quanah Parker. But the harsh life of the western plains was right outside their door. In the dead of night, Mary Ann Goodnight would lie awake and listen to the bison calves cry after their mothers were slaughtered. Years earlier, white settlers had begun killing buffalo and selling the hides for high dollar at the market. The buffalo hunters took what they needed from the animal, often leaving the rest of the body to rot on the open plain. Just a century before, between 30 and 60 million buffalo roamed the west. By the late 1800s, there were only about 300 of the species left in existence. Mrs. Goodnight, known as the “Mother of the Panhandle” for her compassionate demeanor, wanted to do something. Goodnight is known as the father of modern cattle ranching. To this day, visitors hang their bandanas by his grave in tribute to the legendary cowhand. But it was Mary Ann who saved the buffalo. While Charles viewed the animals as a business endeavor, going as far as to crossbreed the bison with cattle, creating “cattalo,” his wife cared deeply for the creatures. She rescued and raised the orphaned bison calves and helped the herd at the Goodnight Buffalo Ranch grow to over 200 head of bison. When the Goodnights learned of bison conservation efforts that were underway around the country, they donated and sold portions of their herd to help replenish the species. Bison from the Goodnight herd went to Yellowstone National Park and the New York Zoological Park. A few even went on the road with Buffalo Bill’s Wild West Show. Mary Ann Goodnight died in 1926, while Charles passed away just three years later. The Goodnight ranch, along with the bison herd, changed ownership several times over the years. The herd wandered throughout the Palo Duro Canyon. Aside from an ill-advised call to exterminate the herd in a “last great buffalo hunt,” which was thankfully abandoned after public protest, the Texas bison were left in peace. The bison resided on the JA Ranch, the ranch Goodnight once owned with businessman John Adair, and became known as the JA herd. When it was discovered that the herd was one of the last pure bison herds in the United States, the owners of the JA Ranch agreed to donate the animals to the Texas Parks and Wildlife Division. The bison have remained in the state’s care since 1996. The Goodnights’ legacy lives on in places like Caprock Canyon State Park, just north of Lubbock. Caprock Canyon provides 15,000 acres for the bison to roam, graze and live as they please. There, the bison are in their natural setting. The video below provides a closer look at the historic Southern Plains herd. San Angelo State Park in San Angelo, Texas also has a small bison herd. In Oklahoma, the Wichita Mountains Wildlife Refuge is home to bison that are direct descendants of bison from a Bronx Zoo breeding program who were shipped to Oklahoma in 1907. The breeding program was the effort of the American Bison Society, formed by the Wildlife Conservation Society and Theodore Roosevelt in the early 1900s. Yellowstone National Park now holds the largest bison population on public land. Today, there are about 500,000 bison in North America.